Holy Well, Dunsfold © Copyright Dave Spicer and licensed for reuse under this Creative Commons Licence. 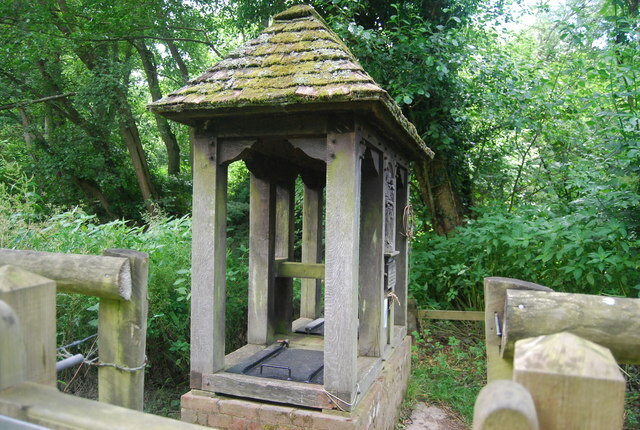 Surrey is not the first county associated with holy wells, although James Rattue’s 2008 Holy Wells of Surrey makes it clear there are a number. Visions of the Virgin Mary are! 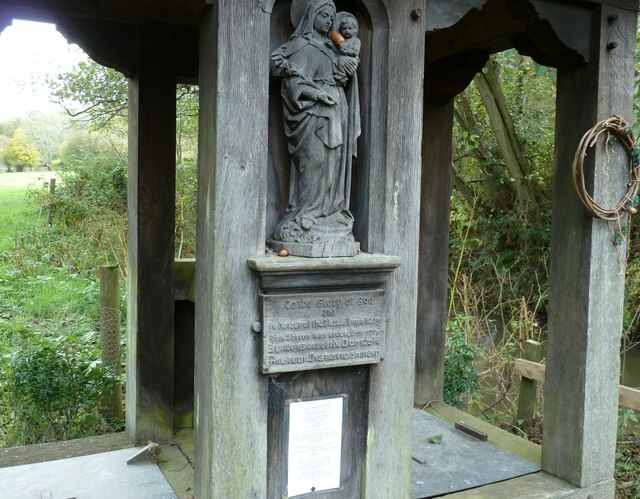 So when we have a holy well and a vision of the Virgin Mary seen together it is an interesting site – but how old and genuine as a holy well is it? Especially curious as Rattue notes it appears in most surveys of holy wells. Holy Well Dunsfold © Copyright N Chadwick and licensed for reuse under this Creative Commons Licence. The usual claims, heathen worship, possibly Roman adoption by the early church, a theme we will return too in a moment. Although a mineral spring is very likely after all, Surrey had a large number of these and many were of nationwide fame. Maybe we shall never know. Have we all missed something? Neither Rattue, Harte or I have ever located this book which mentions specifically Dunsfold. If it could be found the authenticity of the well would not be in question. Always in residence, a curious statement but delve deeper and it appears it refer to as Rattue places it ‘vague oral traditions’ of the Virgin Mary appearing in the vicinity, as referred to in the Guidebook. The Surrey Advertiser of the 14th October 1933 states she appeared to those who sought the spring’s water. England is not renowned for recorded visions of the Virgin, and indeed the only one appears to be the most famous, Walsingham, if we do not include the discredited Our Lady of Surbiton which begun in the 1980s. Of course, new age pagans may suggest that some visions record a pre-Christian tradition of a pagan water deity. Certainly this is an ancient location with an old 1500-year-old yew which may have been the original focal point explaining the remote location of the church. So the site may have been pagan and this may be true, but the details are very vague when concerning the well. More likely is that this was a local attempt to create their own ‘Walsingham’ at a time when the Catholic church was beginning to re-establish itself more firmly in the region, after all an Anglo-Catholic movement had re-established itself in 1921 under Father Alfred Hope Pattern. The most famous healing spring associated with a vision of the BVM is of course Lourdes and it is tempting to make a connection. Did the local St John’s Seminary want to establish a local Lourdes? Did they need a well for their ablutions and a local story, possibly from ‘modern’ mystics visiting the area or completely concocted to justify giving the well the association with the Virgin? Good for them I suppose you could say and similarly ask does it really does not matter that its provenance for it is difficult to find such a delightful sacred spring?